During a dive in Gili Air I saw something new. 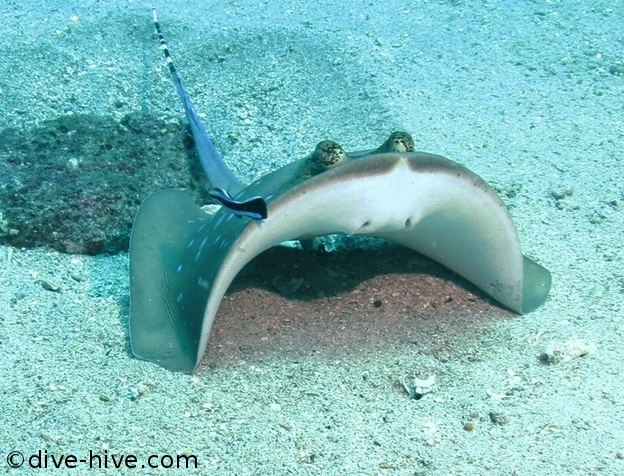 A Blue Spotted Stingray at a cleaning station. Trying to sneak towards the scenario as slow as possible I was able to take one shot. It really looks amazing how the Stingray lifts himself up that the little cleaning wrasses can do their work as efficient as possible.